Sparkframe is the effective and efficient way for architecture / engineering / construction design teams to communicate while using building information models. In particular, the Sparkframe Revit Add-In for Autodesk Revit 2013 empowers users to converse, record screenshots, and manage tasks on Revit elements. This cloud-powered, BIM-based collaboration ensures project team coordination that retains a consistent, reliable relationship with a shared digital model. Can your email do that? Because Sparkframe is a cloud service, your project team can continue conversations in real-time and manage BIM element-specific tasks day or night from any web-connected device, such as mobile phones and tablet computers. No Revit installation is needed, so anyone can read and add to a conversation. With Sparkframe, your project team will more efficiently communicate and track design coordination with your Revit models. Getting started with Sparkframe is as easy as opening a model, naming it, and adding it to your team's project. Simply select any element, and then click "Start Conversation." Your conversation is then attached to that element, directly with your model. Because comments can attach more Revit elements, your conversations are always connected to the shared model. This is real BIM communication. At any time, add a member of the design team to your conversation. Assign your message as a task to a member of your team. 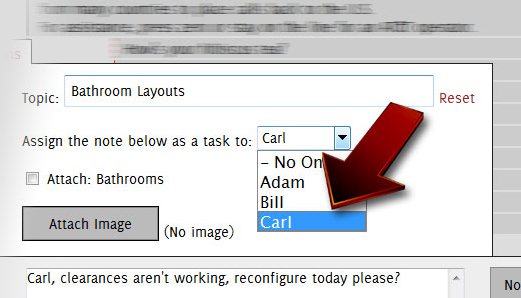 You can even assign yourself tasks to keep track of your progress and design decisions. Attach a screenshot with the touch of a button. 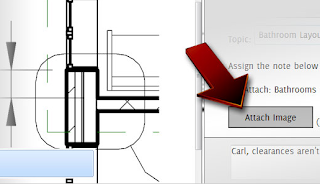 Because conversations and comments are attached to Revit elements, so is your screenshot. Effortlessly keep a visual record of your model elements throughout collaboration. 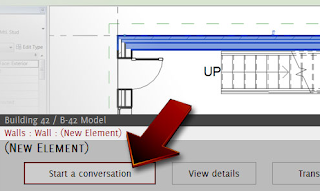 No one needs a Revit installation to read and take part in conversations. This is perfect for project managers and teams on the go. From a desktop, laptop, tablet, or phone, just open up a browser to see and add to your team's progress. Sparkframe is a cloud service, meaning there is no worry about storage, security, training, or technical know-how. Everything is stored in the cloud, so Sparkframe will not increase the size of your Revit models, and all your information is automatically secure. There's more information on this free add-in available on the En Masse Studios website.